In light of the recent expiry of the term of office of one Commissioner and the scheduled retirement of another towards the end of January 2019, the Jersey Law Commission is seeking applications for new Commissioners. 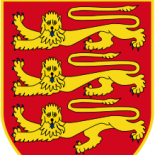 The Commission is an independent body set up by the States of Jersey in 1996 to identify and examine aspects of law with a view to their development and reform. The Commission carries out research and consultations to eliminate anomalies, recommend repeal of obsolete and unnecessary enactments, reduce the number of separate enactments, and simplify and modernise the law of Jersey. Recent examples of the Commission’s work include consultation papers and final reports on Divorce Law and Improving Administrative Redress, whilst current projects include Grounds for Criminal Appeals, Prescription and Limitation and Assisted Reproduction and Surrogacy. The Commission’s recommendations are considered by the Chief Minister of Jersey and the assembly of the States of Jersey. Ideal candidates are likely to be current or recently retired legal practitioners and academics. Appointments are for 5 years and are subject to confirmation by the States of Jersey. The office of Commissioner is unremunerated.